Saying our final goodbyes to lots of friends who came to send us off at the station. We took a inumerable photos and selfies! 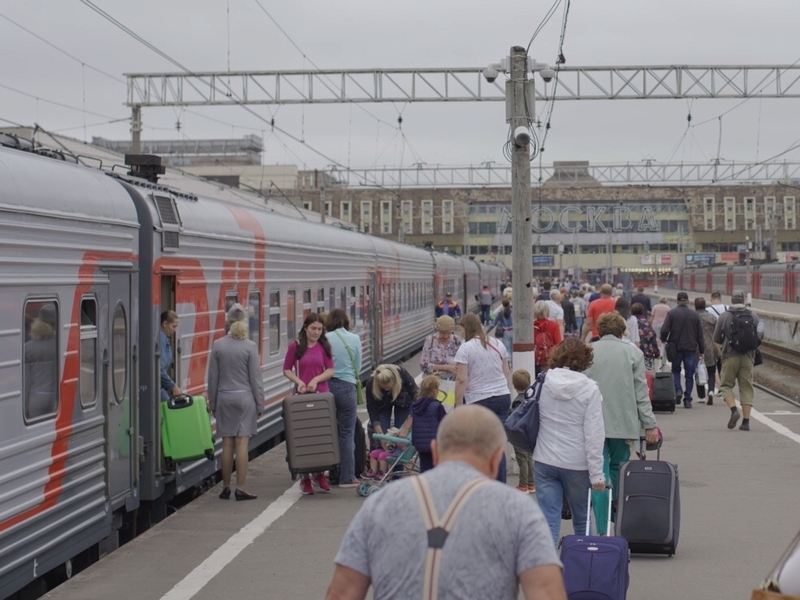 After a very relaxing day as a team in Tambov on Monday we took an overnight train to Moscow and arrived about an hour ago. We then managed to use the Metro (subway) to get across the city to our hotel. Unexpectedly, the hotel had almost all our rooms available and ready for check in at 7:00 a.m.! So we are getting some rest and freshening up before spending the rest of the day touring the city. We are so thankful to all the families that hosted us in Tambov, and to the Lord for safe travels. Please continue to pray for the rest of our trip. Please pray for energy to get us through the next couple of days and for smooth return travel to the US on Thursday. Please also thank God for the many answers to prayer over the past ten days and that the seed that was planted during camp and our time in Tambov will yield much fruit.